Many of you know from reading this blog that I do my best to try to save money. Living as a family of four on one income can be hard in this economy if you are not careful. I am blessed to be a stay at home mom, but I do have to watch what we spend. One way we save a lot of money in our budget is on groceries. I am able to do this through a combination of meal planning, shopping the sale ads and couponing. But saving and organizing those coupons can be a real pain. Especially if you can’t find the one you need when you are ready to shop. 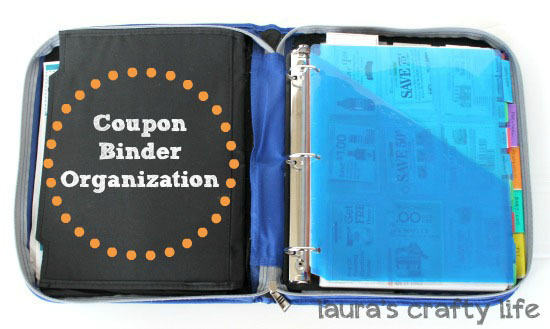 Head on over to Ask Anna to see all the details on how I organize my coupon binder. Oh, and if you love craft supplies, head on over to Pick Your Plum to sign up for their daily newsletter. Today they are having a Fall Kick Off with a ton of fun items and everything ships for one low rate! They are a daily deal website, so once the items are sold out, that’s it. You gotta act fast! 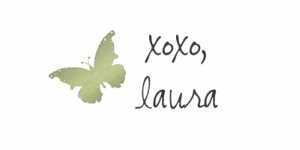 Laura, is the binder one of the large ones, or the 5.5 x 8.5 one? I remember when my kids were younger and I toted around a big 8.5 x 11 binder full of coupons. It was organized, but not to the level of yours. Between that and having a calendar full of dinner menu’s, we ate pretty darn good for a single mom and 2 kids. I still use coupons, but mostly for restaurants and craft stores. Hubby calls me the coupon fairy–especially at the craft stores where I hand coupons out to people. I admire how organized you are. I have my good and bad days with it… right now, I am OCD with it. ‘Don’t know if it is the weather or the holidays coming around. Maybe it’s just the usual abundance of mental energy. So with the body could keep up with the mind!!! Do you use the RetailMeNot App? It is very cool–will pop up and tell you if there are discounts and coupons in the area you are currently in at any one time. Also shows online coupon codes. Example: we were eating at Chili’s the other day and up pops a coupon for a free desert! We were too full for desert, but it was cool just the same!